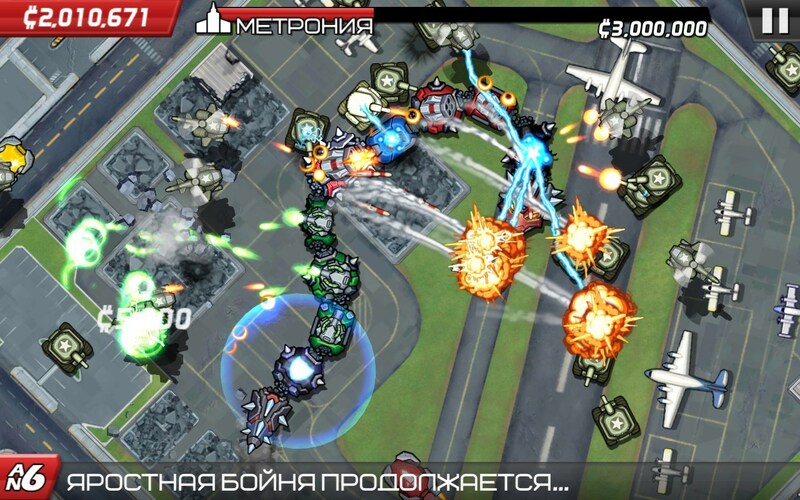 Colossatron – Games for Android 2018 – Free download. Colossatron – Huge mechanical snake destroys the planet. 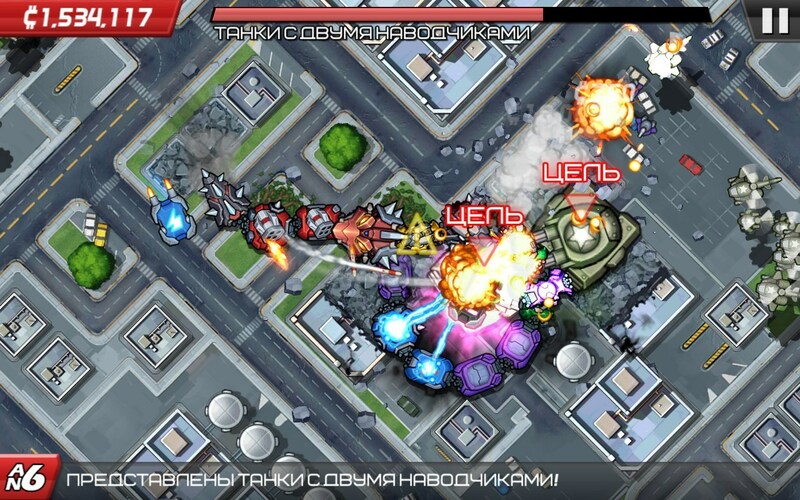 Colossatron - is an original arcade game for Android from developer Halfbrick Studios, who previously has pleased all players such masterpieces as Fruit Ninja and Jetpack Joyride . By design, you will control the snake space combat, which desantiruyut to Earth for the purpose of total destruction. 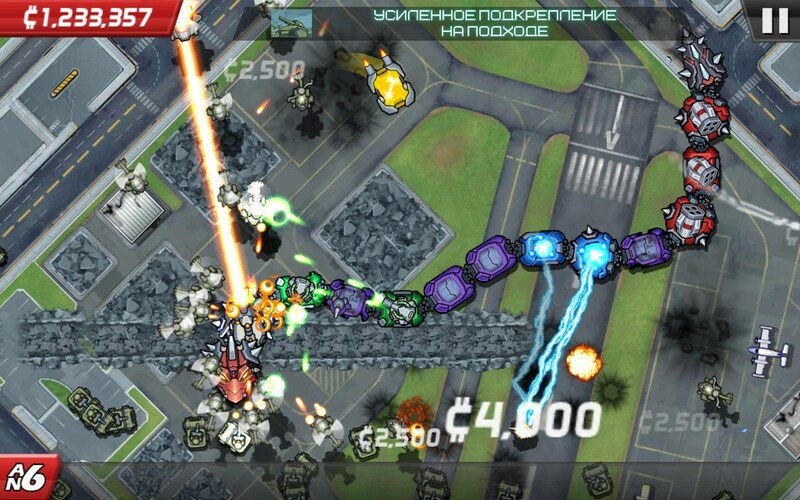 Use multi-colored blocks to enhance the firepower of mechanical snakes and destroy all earthly city. The game received a vivid hand-drawn graphics that spiced with colorful effects, which is not surprising when we remember those who engaged in the development of this arcade. 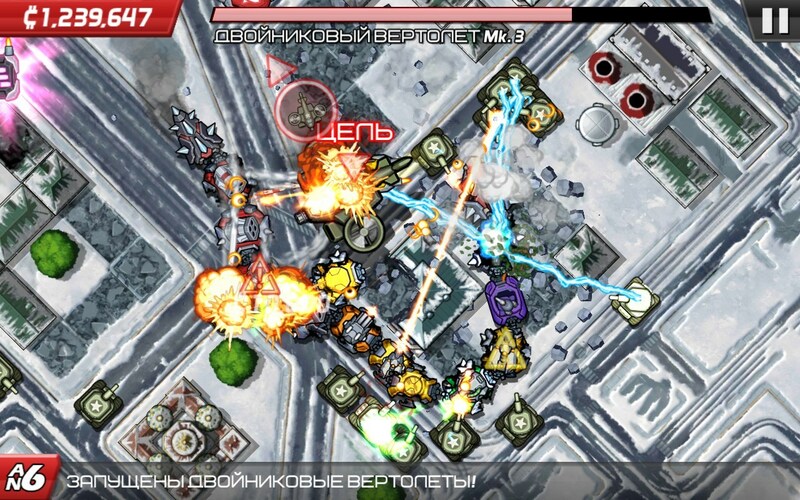 During the game, you will observe a constant explosions, laser flash and flying chunks of buildings and military equipment. 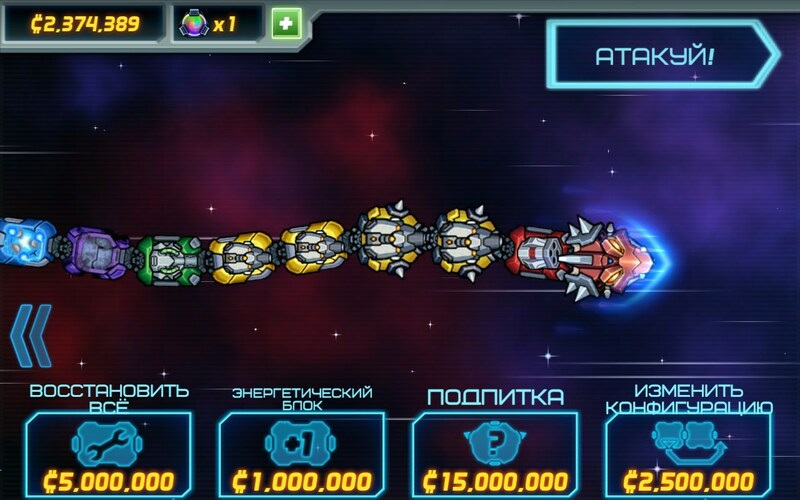 The idea of ​​the game turned out quite interesting, and the gameplay is unfortunately went very casual and simple. Surely you were hoping to get full control over the mechanical snake, but, in fact, you entrust a colorful collection of warheads. Brought together three same-colored blocks will merge, after which you will receive a new warhead with enhanced fire power. Thus, your main task - to quickly and accurately positioning blocks the body mechanical snake. Move and attack the snake will be on their own, but you will make it possible sometimes to choose a specific purpose, that is required to perform certain tasks. Quests in the game you will see quite a lot, but they will all boil down to the destruction of some purpose: buildings, a certain kind of art and other things. Doing the job, you will pass the next level and return to the main menu where you can improve your snake, acquiring new weapons and projectiles blocks additional features. Of course, for all of these improvements will have to pay, the currency will be iridescent sphere, which will make a very, very difficult, although with a strong desire you can buy them for real money. Overall the game was good. But it is difficult to imagine that someone will please casual gameplay, which is a modification of some classic puzzle "three in a row." Lack of full control over the snake makes the gameplay passive, resulting in the game is fairly quickly bored. In addition, all the improvements and upgrades for snakes require special game currency, which is very difficult to make during the game, so to get the best of everything have to "pour" real money. 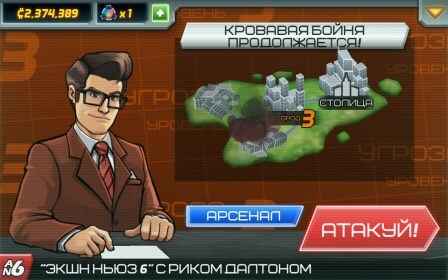 Colossatron though belongs to the genre of arcade games android, she looks more like a simple kazualki. But instead of a simple gameplay you get colorful and vivid image with bright effects that will keep you busy for ten minutes while you are traveling on public transport.